With a highly unique terrain of wide open plains and subtropical forests, Oklahoma is the ideal place to get your mountain biking fix. For those adrenaline junkies looking to hit the trails, you’re in luck! 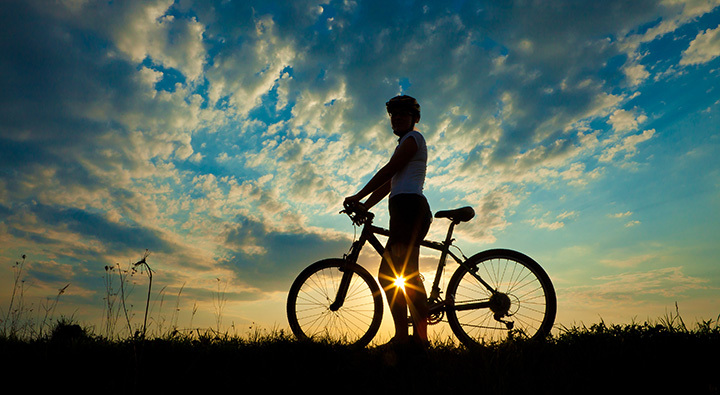 Oklahoma’s mountain biking trails, from state parks to forests, are top-notch. Here are the 10 best in the state. St. Crispin’s is an Episcopal Conference Center, but the nine miles of trails are open to cyclists and hikers. You should check their Facebook page for the hours the trails are open. There are six different loops of trails at this track, from intermediate to challenging levels. You can download a trail map at the Medicine Park website. The Green and Red Loops close from October 1 to January 15 for hunting, but the others remain open year-round. Turkey Mountain is an urban wilderness with 20 miles of trails for cyclists and hikers. The trails are GPS-mapped and available on kiosks near the parking lot. The park also has a bike repair station, outdoor shower, emergency response locations and a children’s climbing area. Roman Nose State Park Trail System has four trails from beginner to intermediate-level. Two of the trails are open to equestrians, as well as hikers and cyclists, while the other two are only for hikers and bikers. Don’t leave the trail or you risk messing up your ride by hitting cactus plants. You’ll get some great views of the Ouachita Mountains when you take on this trail. It’s a more challenging trail. Recommended that you don’t bike alone up here. One other caveat, don’t forget the insect repellent and check for ticks after riding. Four loops of trails just east of Claremore Lake offer three miles of track for every level of cyclist. The trails might be short, but there is an expansion that began last fall to add about four more miles of track. The trails are mostly intermediate, but there is one section with boulders that is considered expert. There is a loop that bypasses this stretch. You don’t have to take it on until you’re ready. The ride takes you through the wooded areas, near the lake and through open fields. Oklahoma City Parks and Recreation Department maintains plenty of biking trails, but this one gets high marks. The parks department is requesting that bikers and walkers take precautions to avoid accidents on the trail. This trail is considered highly technical, with rocky and steep climbs and descents. It’s close to Fort Sill, so if you hear artillery or see helicopters in the area, that’s why. This park is the former hideout of outlaws Jesse James and Belle Starr. Today, the park is a favorite for cyclists, as the trail is rocky and tough, with steep ascents and descents. The scenery is beautiful, and if you don’t have a bicycle, you can rent one.